The PCE inflation rate in the United States has been consistently below the Fed’s official 2% target for many years now. Equally persistent are the forecast errors of those who have expected inflation to rise to its target level (and possibly beyond). What accounts for the missing inflation? In a recent NYT article, Binyamin Appelbaum mentions four theories of inflation: (1) Monetarist, (2) Phillips Curve, (3) Expectations, and (4) Internationalist. Let me briefly describe and comment on these four views. Monetarist. The price-level is determined by the supply of money relative to the demand for money. Inflation (the rate of change in the price-level) is therefore determined by the rate of growth of the money supply net of the rate of growth in the demand for money (often proxied by the growth rate in real GDP). used widely as a proxy for aggregate demand. The interpretation of this data goes something like this: As the aggregate demand for goods and services picks up, firms are motivated to hire more workers. As the unemployment rate declines, workers are able to demand higher wages. These costs are then passed on to consumers through higher product prices. While the story sounds plausible, it is not without problems. It seems sensible to suppose that the bargaining power of workers is improved when the unemployment rate is low. And growing worker productivity is an important source of economic growth. Both of these forces suggest that the real (inflation-adjusted) wage should rise when unemployment is low (or falling). But why should rising real wages result in higher wage and price inflation? The answer is not immediately clear. Another problem associated with this view seems is the propensity of its adherents to take the statistical evidence of the Phillips curve as prima facie evidence of their theory of the Phillips curve. In fact, economists have known for a long time that there are many other mechanisms that might generate a negative relationship between the unemployment rate and inflation. The Tobin effect, for example, asserts that the direction of causality runs in the opposite direction: higher inflation induces a portfolio substitution out of government securities into private investment (including recruiting investment), which leads to lower unemployment. Expectations. There are several variants of this view. 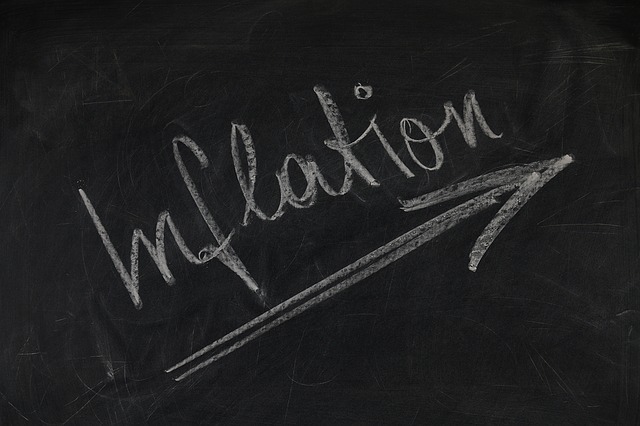 One is that the rate of inflation depends on the expected rate of inflation and that inflation expectations are largely indeterminate in the sense that they can become a self-fulfilling prophecy. After almost a decade of low inflation, what else are individuals supposed to believe? Eventually, low inflation expectations get baked into lower wage settlements and lower pricing decisions, which results in low inflation. This story sounds plausible. But it suggests an inertial aspect to expectation formation that may have less to do with recent experience and more to do with how individuals expect policy to evolve in the near future. This latter possibility has been demonstrated convincingly by Tom Sargent in The Ends of Four Big Inflations. Internationalist. As explained by Binyamin, this view holds that low inflation across the developed world is due to the rise of the developing world. The threat of outsourcing keeps a lid on domestic wage pressures, while a flood of cheap goods from foreign countries helps to keep domestic product prices down, both directly (because we pay less for imports) and indirectly (because the threat of competition from imports induces domestic producers to keep prices low). What are we to make of all this? According to Adam Posen, “policy makers are sailing without the guidance of a convincing model.” This sounds right to me, but not because a convincing (or at least, semi-plausible) model is absent. In particular, I can think of a model that is broadly consistent with observation. Moreover, it’s a model that’s not inconsistent with any of the theories described above. I’ll describe this model in my next post (stay tuned, I won’t keep you waiting too long).